Glowroad App Refer and Earn - GlowRoad App is offering the platforms for Reselling Various Products across thousands of the cities. Using the "Glowroad app" you can resell or buy trendy clothes for Men-Women, Electronics, etc. 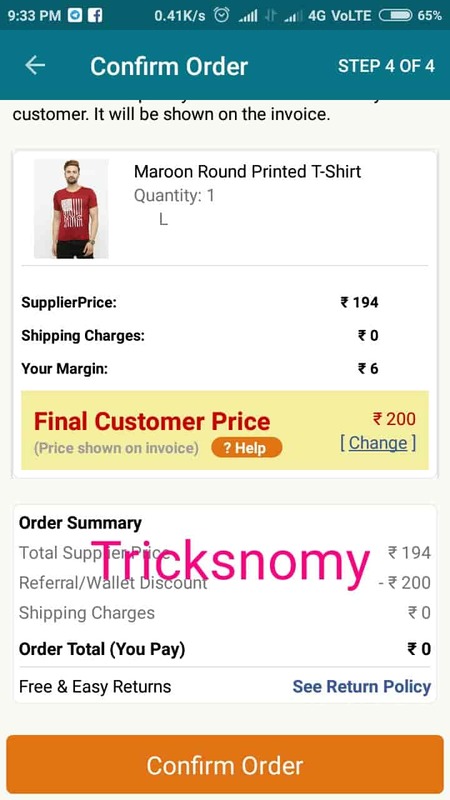 Now on Glowroad app, you can get 200 Rs worth products free of cost. Sign Up on Glowroad app and get instant 200 Rs Wallet Cash. Which you can use to buy a product. Refer and Earn on Glowroad app is also there to get more referral cash. Glowroad is proclaiming that they are #1 reseller network selling across 400+ cities to their products. Glowroad enables women to earn from home by selling their various products and can earn monthly income from these platforms. It gives you a platform for the empowerment of women. Who wants to earn money from home. Guys! Now It's better to use "Meesho Refer & Earn" or "Shop101 Refer & Earn". These are on the same working models and are paying enough amount for Referral Bonus. On the Meesho & Shop101 you can get your Referral Money directly Credited to your Bank Account. Now on the Glowroad, you can get 200 Rs worth products free of cost plus you can also get a referral bonus on your suggested products to your friends and relatives. Whatever, you'll earn from selling the products on the Glowroad app they won't charge any commission. How To Avail Free Products From GlowRoad App? Verify Your Number and Sign Up. Enter this Code:-BFJKPGQ666 if asked. Once you completely signed up on the app you'll get 200 Rs in your Wallet Cash. 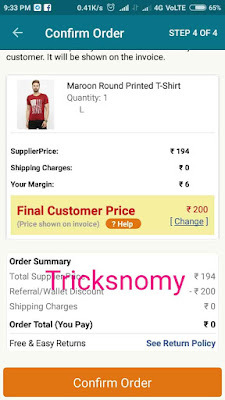 Now Search Products worth 200 Rs. or more apply your Wallet cash. Pay the amount using your Wallet Cash. Done. You'll get the product free of cost. How To Refer and Earn on GlowRoad App? To Refer and Earn, Open the App. On the Home Page, you'll see the "Refer and Earn Option". Or you can Click on the "Bonus" to get your Referral Link. Click on it and Copy Your Referral Link. Now Share it with your Friends and on their First order, you'll get Referral Bonus. How To Order Your First Products on GlowRoad App? First of all, go to the Search Option and Search Tshirts, Curtains etc. Now make sure that this product worth 200 - 230 Products. After this Copy the Link of the products and share on WhatsApp, Facebook. Now Go to the "MyShop" Option. There you'll see MyShared/ Copied Products. Now buy your desired product from there and done. Now GlowRoad is fooling to their Consumers. Now you won't get any discount on your Sign Up Process. Like you'll be getting in Shop101 Refer & Earn. Even you can't use a referral bonus of GlowRoad to send it to your Bank Account. So it's better to use either Meesho Referral Code for Meesho Refer & Earn or You Can use Shop101 Refer & Earn. Currently, these two apps are trusted and providing the great quality products with Refer & Earn Offer. So this was the post about the GlowRoad App where you can get a free product worth 200 Rs on your first order. On the GlowRoad app, you can also earn from Refer and Earn Offer. Where your referral should complete their first transaction on the GlowRoad app by using your suggested links.